It’s been over three years since they last appeared on our screens together as Mick and Pam Shipman on Gavin and Stacey. 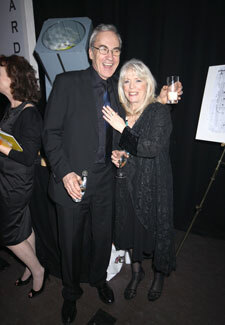 And now Larry Lamb and Alison Steadman are teaming up once again for a new ITV comedy drama series. The show, titled Love and Marriage, will follow the Paradise family after mum Pauline (Alison) walks out after retiring as a lollipop lady. The cast also includes Celia Imrie (The Best Exotic Marigold Hotel), Duncan Preston (Dinnerladies), and Ashley Jensen (Extras). Hopefully Larry and Alison will get some time off during filming to persuade Gavin and Stacey creators Ruth Jones and James Corden to get working on a new series!